Speak with an Engineer about this product line. * Items with web only pricing are highlighted in yellow. * Closeout priced products are highlighted in green. This range of high performance step motors is optimally designed for use with our high performance stepper drives. Ten foot shielded cables with rugged strain relief make these motors excellent choices for industrial environments. HT23-598, HT23-601 and HT34-506 are specially designed for our ST and STR series DC stepper drives. HT23-552/553/554 and HT34-495/496/497 are specially designed for our STAC5 and STAC6 high voltage AC stepper drives. These motors are available with single shaft or dual shafts. The YAA and ZAA versions include a 2000 line (8000 count/turn) optical encoder with differential output signals for high noise immunity. The YAC and ZAC versions include a rugged metal housing and ten foot strain relieved, shielded cable. When used with our popular drives, the encoders support position verification, stall detection and stall prevention. Need a motor that can handle a wet or dusty environment? 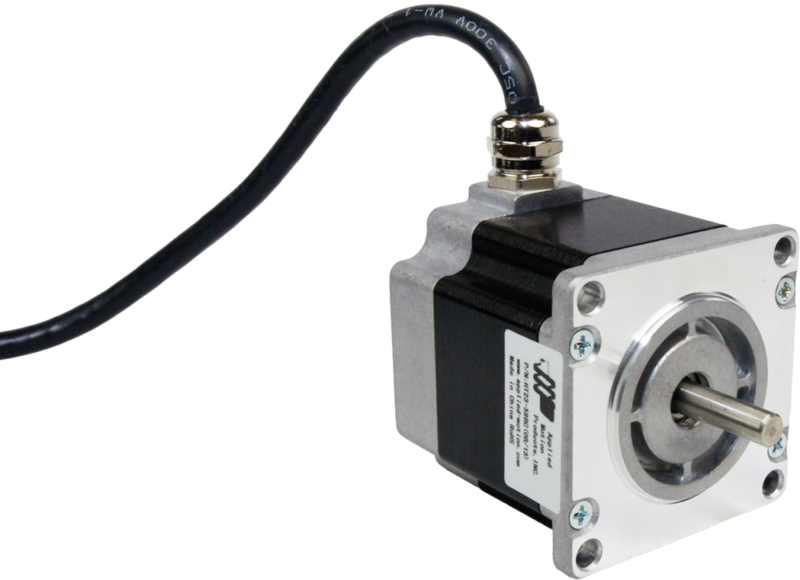 Consider our IP65 rated step motors. Have a Question About This Series? Speak with an Engineer!